You don’t need to be a writer or professional storyteller to be able to gift a story. We all have our own unique stories; some we have gathered along the way, and others that we carry for those now gone. Story is what connects us, what lifts us from dark places, it is those unexpected moments of inspiration, signposts through life and insights in to humanity. Unconsciously or consciously, we regularly share our stories with kin, friends, co-workers and strangers. Tonight, as I delay packing my bag for this week’s business trip, my mind wanders back in time, to last week’s travels. Only a few days ago I was in the centre of Australia, in a town called Alice Springs; not that far from the true heart of Australia. This trip was a pleasant change from the more recent ones I had done. If you have been following my travelogue ‘Rooms with a View’ posts, you will have read that I have done a few eastern-city trips lately. And you would probably have deduced that I am a little more country than urban. 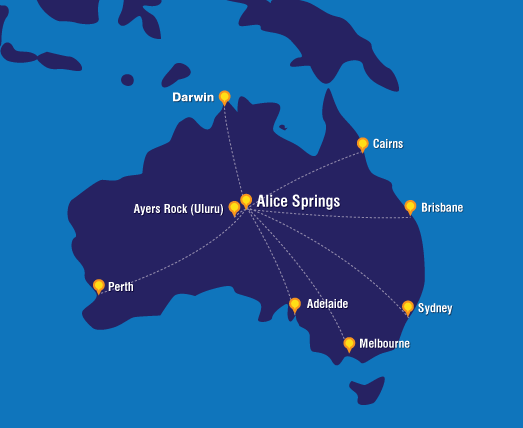 So, I was really looking forward to spending time in Alice Springs, a place I had never been to. I went there to attend a symposium on cultural safety; mixing my views, experiences and thoughts with those of people from all over the country. Whilst it was uplifting to see so many people present, all committed to engineering culturally safe health practices, workplaces and services for Aboriginal and Torres Strait Islander clients, communities and workers, it is the more intimate conversations which often inspire me. Perhaps it was the essence of the topic that we had gathered to discuss or the land on which we met, but many attendees seemed open to sharing their stories with each other. Even after hours, and at meal times, I was privileged to hear many stories, all gifted freely. Although they were told to me, given in the spirit of openness and inter-connectedness, they are not mine, so I cannot repeat them. While I can tap into the stories’ essence of courage, wisdom, spirit, tenacity, healing and laughter, take their messages to heart and learn from others’ experiences, I cannot re-gift them. They are not my stories. However, I can let these stories nourish my own and these revitalised stories I can share, for they are truly mine. As a writer who aims to be ethical and respectful, I would never take another person’s stories and use them in my work; I wouldn’t consider re-moulding them or cloaking them in a disguise. Again, they are not mine to share. To share them is to betray the trust that others have shown me; a careless tossing away of a treasure that someone has so thoughtfully bestowed on me. And why would I need to steal a story anyway? There are already an infinite number residing in my imagination to choose from. I think perhaps what I most appreciate about hearing another person’s story is what that story tells me about me. This doesn’t mean that I walk around thinking that I exist in some pre-Copernican bubble of ego. Not at all. However, truly listening to a story is a lost art; one I aim to recapture. Firstly, I hear the top layer of the story. Then I listen for the multiple layers within each story; and there are so many layers. I do attempt to hear what the story reveals about the teller. I also listen without ears, to discover the arcane messages within the story. Aside from all that, I generally learn something new about myself within others’ stories: a bare truth that I may have been avoiding; a trait that I disliked in others because I carry it within myself; a shiver-up-the-back-of-the-neck that indicates that something of significance has been mentioned; a light shone on a darkened track, allowing me to walk in someone’s well-grooved path for a while; or a light slap, to encourage me to wake up. At the centre of each story lies wisdom and truth. At the centre of a story lies us: the teller and the listener. When we share a story, we share a small part of ourselves; making story-sharing a priceless treasure. Previous Post: A good start but will it grow to be a novel?